Low-Power Wide-Area Network (LPWAN) or (LPWA) is a type of wireless telecommunication network designed to allow long range communications at a low bit rate among things (connected objects), such as sensors operated on a battery. The characteristics of extremely long communication range and low power provide more feasible, reasonable wireless connectivity with a lot of researchers, field engineers, and application designers, who have suffered from weak wireless connectivity, range limitations, and energy efficiency. Therefore, in this keynote, key applications and challenges of LPWA will be handled first, and several existing (emerging) new LPWA standards will be discussed. In particular, LoRaWAN, which is regarded as one of the most effective LPWA solutions, is mainly focused. So, several functionalities and characteristics of LoRaWAN will be presented. In addition, network architecture different from legacy short range wireless communications such as IEEE 802.15.4, IEEE 802.11, etc., will be overviewed and state-of-the-art off-the-shelf LoRa chipsets and modules will be introduced. Then, in order to help understand how to develop LoRaWAN application, our LoRaWAN experiments will be presented. 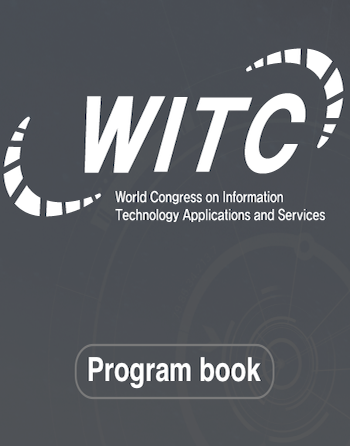 At the end of the keynote, design considerations of LoRaWAN application and network, and several types of design methodologies will be discussed. 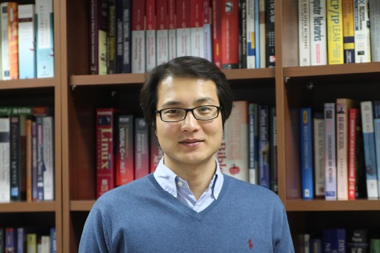 Dr. Hwang is an associate professor, in the department of embedded systems engineering, Incheon National University, Korea, and he is also a director of Leotek Advanced Research Center (LARC) at INU. He has received MS. and Ph.D. in Electronics and Computer Engineering from Korea University, Seoul, Korea, 2004 and 2007, respectively. He worked as an assistant professor at the dept. of Computer Control Engineering, Incheon City University, Incheon, Korea, 2007 ? 2010. Since 2010, he has been with the department of Embedded Systems Engineering, College of Information Technology, Incheon National University, Korea, where he is currently an associate professor. He has worked as an advisory director of K-one information telecommunication co. ltd., 2006 ~ 2009, he was a vice chair of World Embedded Software Contest 2013, and he was a committee member of ICT standard Map, TTA. Based on embedded networked system design expert skills, his research is focused on fault-tolerable system, energy-efficient system, and network-oriented IoT application design. For the last 10 years, he performed more than 30 research projects granted by government and collaborated with several companies. He also has a number of published papers and patents: more than 100 published papers and more than 20 patents. In addition, he received Best paper awards from several domestic and international conferences, outstanding INU research awards, 2011 and 2014, and he also gained the honor, World 100 educators, in CE engineering, 2009, IBC. Since 2014, he has joined JIPS (Journal of Information Processing and Systems) editorial board, where he is currently an associate editor, and he has acted as an organizing member in a number of international conferences hosted by KIPS CSWRG. He is also a member of IEEE, KICS, KMMS, KIPS, and KISS.